Improve health outcomes. Serve those in need. Whether you want to seek employment right after graduation, earn an advanced degree, or fulfill undergraduate requirements for graduate programs, our student-centered classes provide the necessary knowledge and expertise. Through academic outreach events at the UIW Nursing Cardinal Wellness Center, and a range of clinical settings, you’ll advance your skills and help others receive basic care. Careers in disease prevention, physical education, sport management, rehabilitative sciences, and nuclear medicine technology enable students to make valuable contributions to the health and wellbeing of others. We also offer programs enabling students to fulfill the requirements for admission to graduate level programs. Community Health Education is a social science-driven process that promotes health and prevents disease within a diverse population. The purpose of health education is to positively influence the health behavior of individuals and communities as well as the living and working conditions which influence their health. Those who study community health learn how to design and implement programs to improve the quality of life within a diverse population or community. The Bachelor of Science degree in Kinesiology prepares students to teach physical education in several environments. Depending on the track selected, students will be prepared to work as a personal trainer, teach physical education in elementary and secondary settings, or teach in private sector camps and fitness centers. Nuclear Medicine is a medical specialty that uses safe, micro-quantities of radioactive pharmaceuticals for diagnosis, management, treatment and prevention of many serious diseases. Nuclear Medicine imaging techniques provide information about both the function and structure of every organ in the body, often identifying organ abnormalities very early in the progression of a disease. The student choosing the Bachelor of Science degree program should have a strong interest in natural sciences, mathematics, and computer technology as well as the desire for close patient contact and direct interaction with health care professionals. 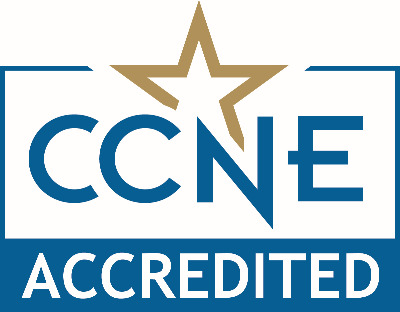 This program prepares students for national certification/registration examinations given by the Nuclear Medicine Technology Certification Board (NMTCB) or the American Registry of Radiologic Technologists (ARRT). Multiple concentrations lead to degrees preparing students for professional graduate programs in occupational therapy, athletic training, physical therapy, medicine, and as physician assistants. The curriculum gives the graduate a strong foundation to embark upon careers in advanced healthcare settings. This degree plan meets the prerequisites of most post-baccalaureate advanced allied health programs. The minor in Public Health is a 12-credit hour sequence of courses which focus on the preventative methods to promote and protect the health of local and global communities. The minor in Public Health increases understanding and expertise in the areas of disease prevention and health promotion. Students are challenged and encouraged to develop thoughtful and innovative health programs, identify and communicate effective and accurate information of health, and to enhance program offerings in a manner that will decrease health disparities within a population. Sport Management is a concentration in Business Administration offered in collaboration with the Department of Human Performance and is designed to prepare students for positions of leadership in professional sports, colleges, universities, and non-profit organizations. Students are prepared to pursue careers in the area of Sport Management and possess tools to prepare for lifelong learning and leadership. Nurses can apply for this hybrid program consisting of on-ground classes alternating with online classes. The Nursing leadership track develops administrative competence in human and financial resource management, and in leading change in complex healthcare environments. This program is for a practicing registered nurse who has earned a diploma or Associate Degree looking to earn a Master of Science in Nursing (MSN) degree. This degree prepares nurses to improve outcomes through organizational leadership, quality improvement processes, and translation of evidence into practice while developing advanced skills as a nurse practitioner. BSN to DNP – Full-time program for those who have a BSN degree wishing to become a Family Nurse Practitioner or a Psychiatric Mental Health Nurse Practitioner. MSN to DNP—Full-time and part-time plans of study are available for Advanced Practice Registered Nurses and nurses with clinically-focused MSN degrees. The Master of Science in Sport Management is a 36-credit hour program designed for people working in a variety of sports organizations. These include National Governing Bodies of Amateur Sports, international organizations such as the International Olympic Committee and its subsidiaries, charitable institutions, professional and amateur sports organizations, and college and university athletic departments. Many graduates of sport management programs work in institutions of higher education in the student services area where facilities are managed and in physical activities such as intramurals, club sports, and student life. The Department of Human Performance in the School of Nursing and Health Professions offers 15-hour certificates in Sport Management and Sport Pedagogy. These courses, if applicable, may be used as part of the requirements for a graduate degree if the student is later admitted as a degree seeking student. The Master of Science in Athletic Training program will prepare excellent patient-centered athletic trainers who desire to impart change as servant leaders in their communities and the profession. The professional Master’s program will prepare students to sit for the Board of Certification examination in Athletic Training and obtain their national and state credentials. Students will gain hours in clinical experiences associated with a variety of populations including genders, varying levels of risk, protective equipment, and medical experiences that address the continuum of care that would prepare a student to function in a variety of settings and meet the domains of practice delineated for the certified athletic trainer.